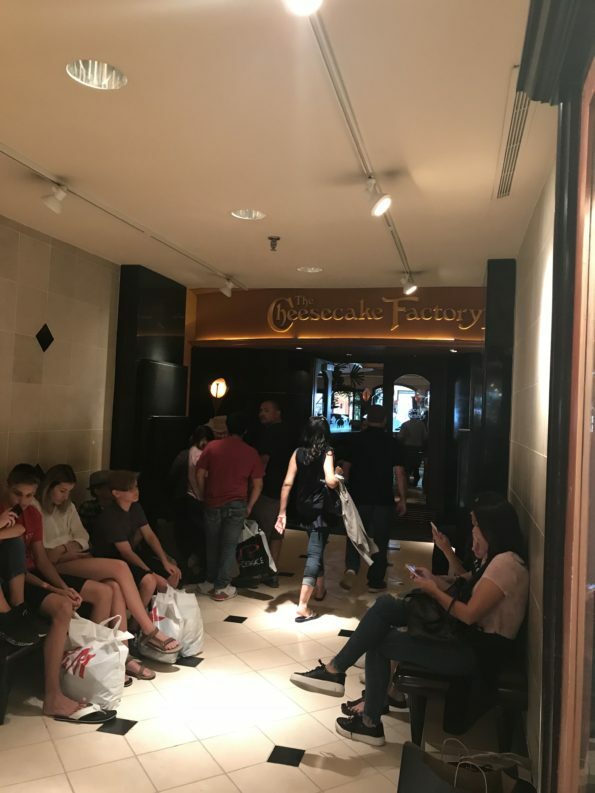 About a month ago, my family and I were staying in the Galleria for one of our recent visits to Houston. We were here taking care of business before our official move to Texas. The Cheesecake Factory was in walking distance of our hotel so we decide to go and dine at that location. We arrived at The Cheesecake Factory and the restaurant was booming. 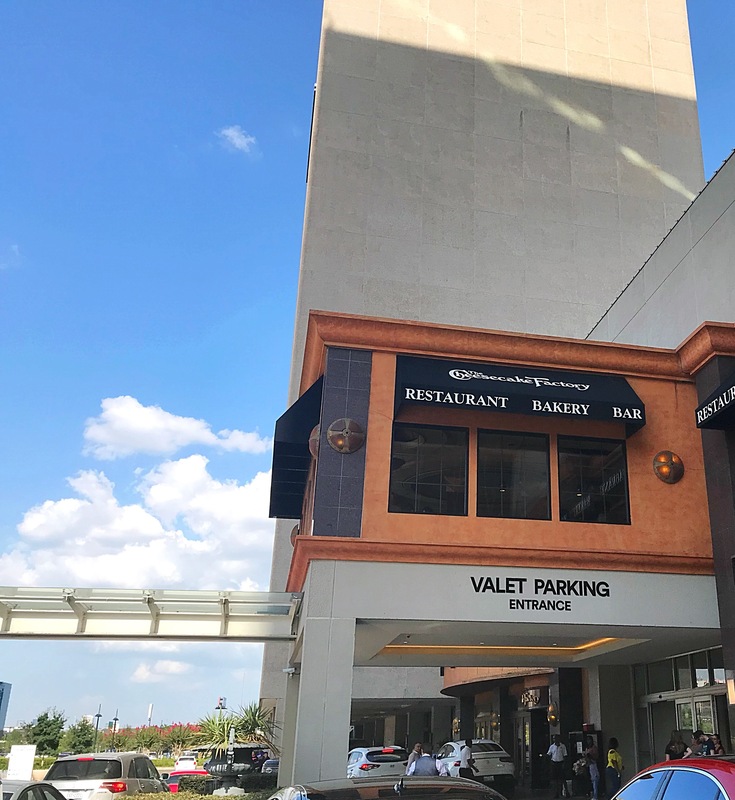 Located in the Galleria Mall which is a great location. The wait was about 20 minutes, so we decided to hang out in the waiting area. The wait ended up being much shorter and we were seated quickly. The waitress arrived at our table ready to take our orders. I ordered a specialty drink, Pineapple Cherry Limeade. 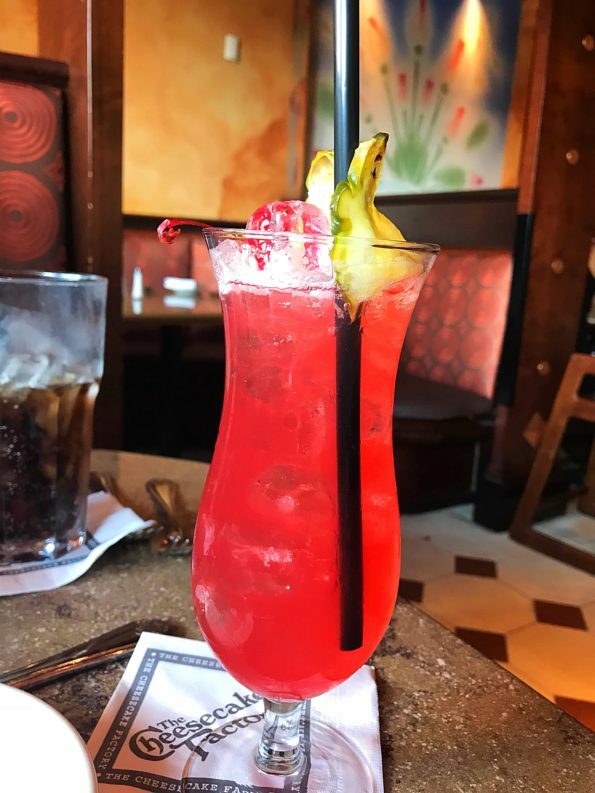 A fruity drink that was well presented and had a great balance of flavors. So good. I love a good fruity mocktail. 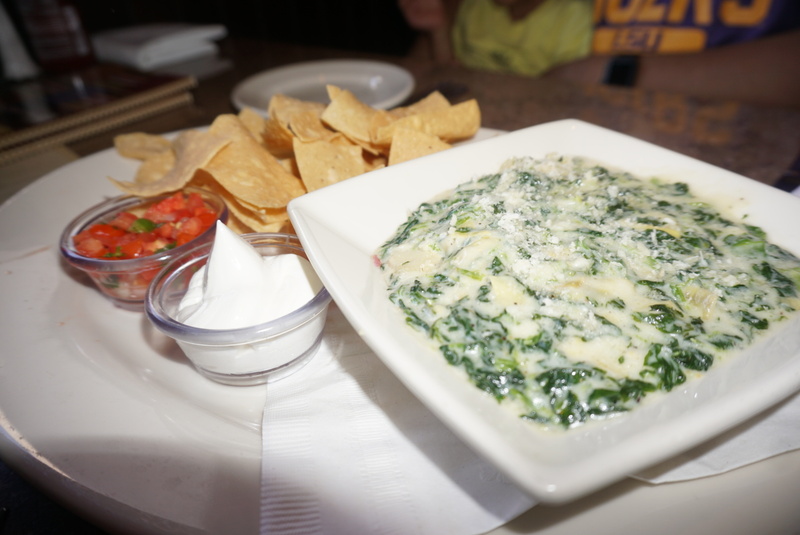 For our appetizer, we tried the Hot Spinach and Cheese dip. The dish was made with Spinach, Artichoke Hearts, Shallots, Garlic and a mixture of Cheeses. Served Bubbly Hot with Tortilla Chips and Salsa. 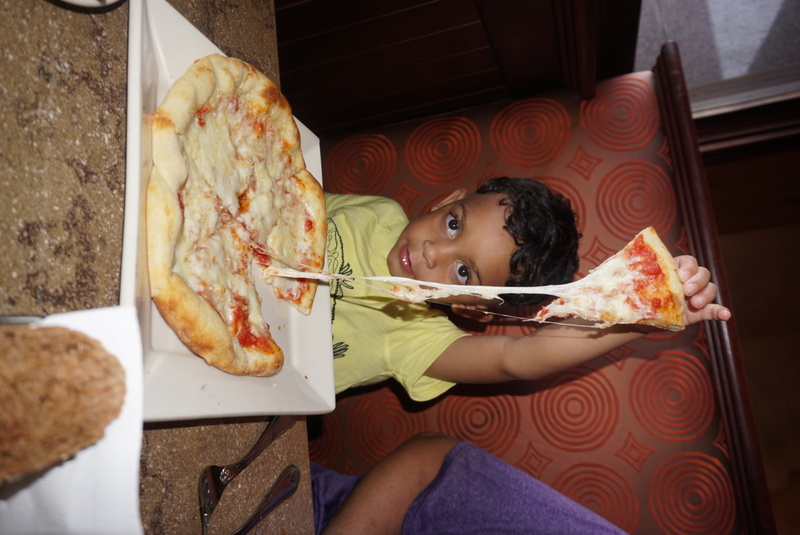 My son decided he wanted the Kid’s cheese pizza for his meal. He loves a good cheese pizza. My daughter always checks a pizza for a good cheese pull. She has taught him well and now he is an expert as well. 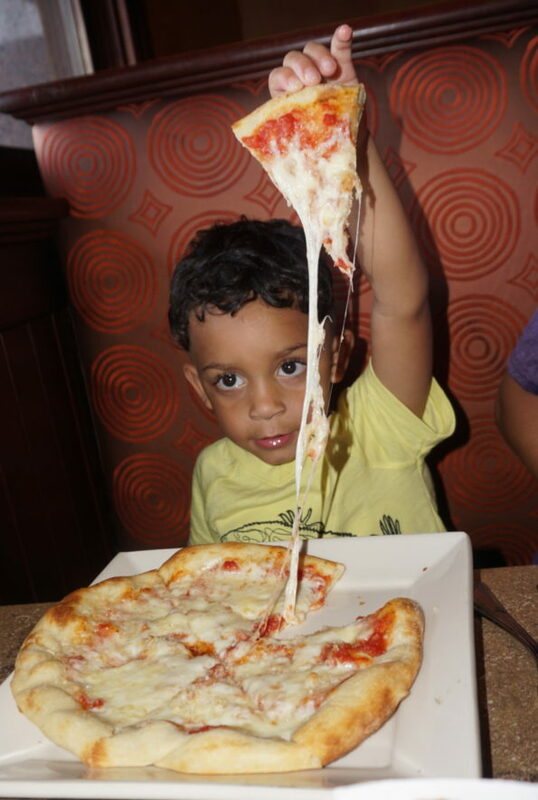 The Cheesecake Factory’s cheese pizza was not exempt from the cheese pull. My daughter loves dumplings and she saw that the Cheesecake Factory’s menu had dumplings. 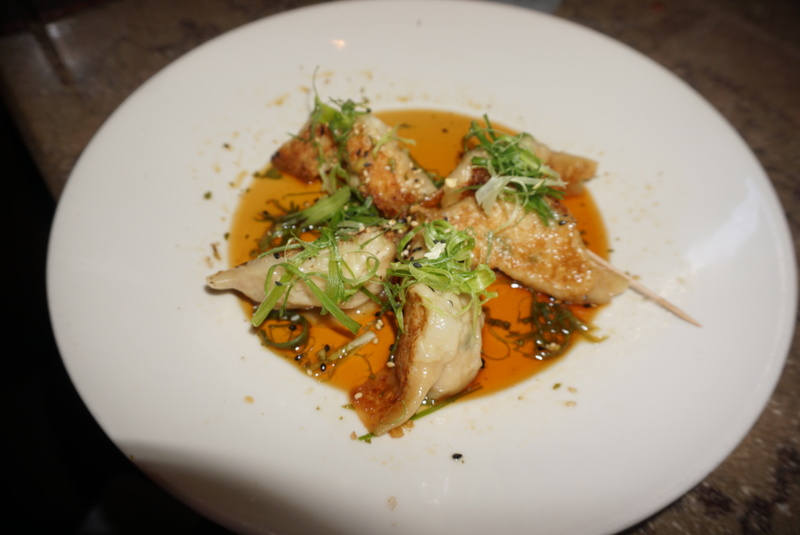 The Chicken Pot Stickers included Asian Dumplings that were Pan-Fried in the Classic way. 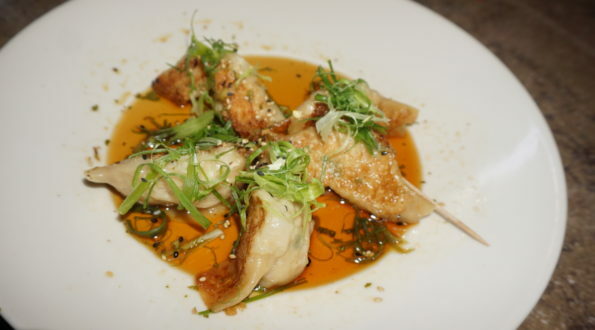 Served with a Soy-Ginger Sesame Sauce. The dish was beautifully presented. A really good option. For my health conscience followers, this dish is on their SkinnyLicious menu. Delicious. 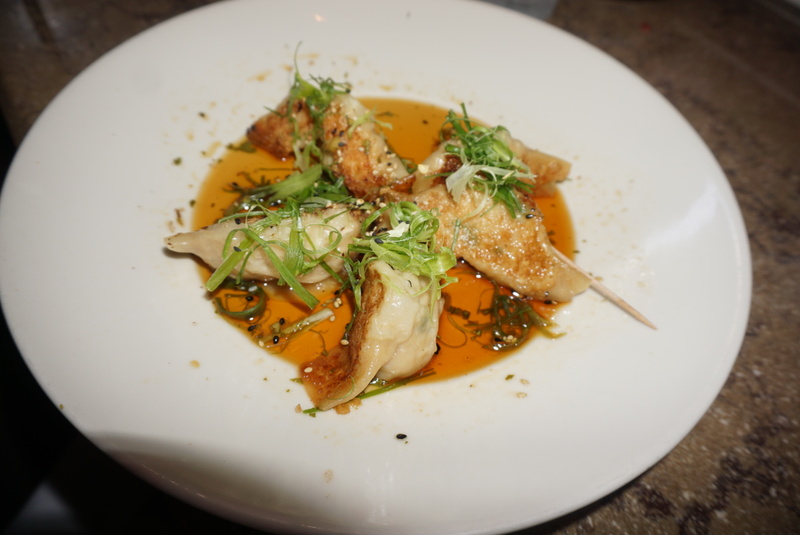 The sauce paired perfectly with the chicken dumplings. 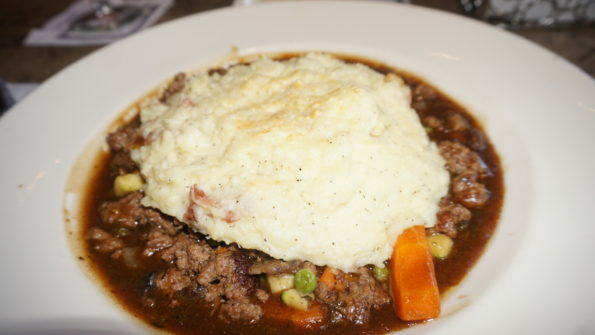 My husband ordered the Shepherd’s Pie. 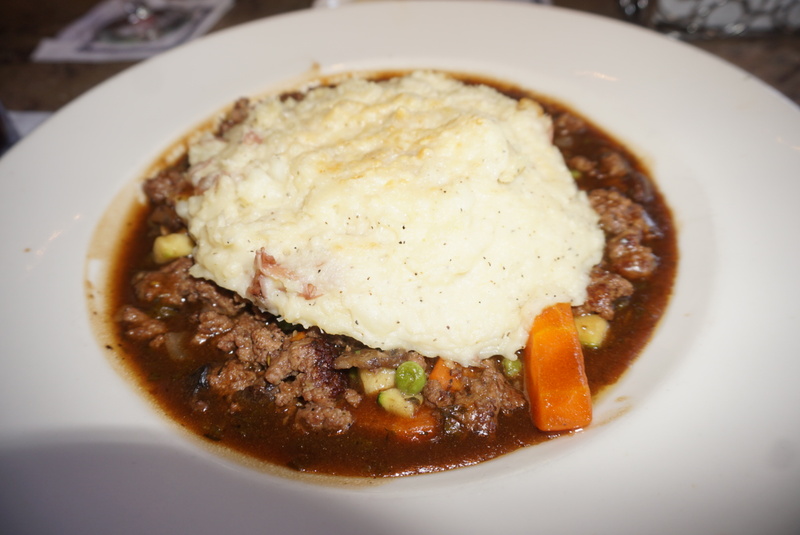 The dish was prepared with Ground Beef, Carrots, Peas, Zucchini and Onions in a Mushroom Gravy Covered with a Mashed Potato-Parmesan Cheese Crust. The perfect bowl of comfort food. Oh my word! Delicious. I ordered the Pot Pie. 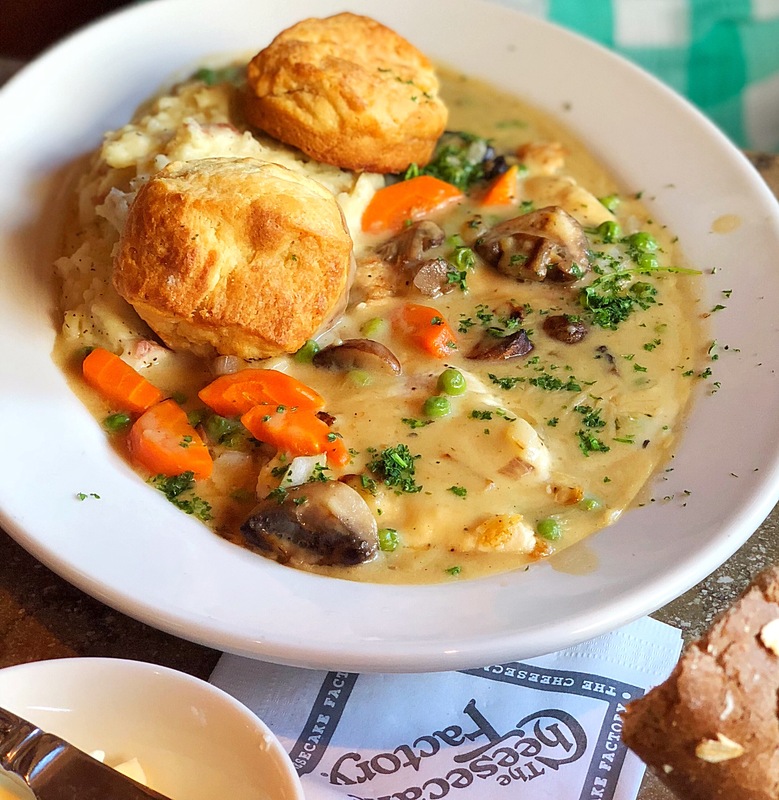 The pot pie was prepared with tender pieces of Sautéed Chicken Breast, Potatoes, Mushrooms, Onions, Peas and Carrots served in a Light Cream Sauce. Topped with Buttery Puff Pastry. Ok, let’s take a minute to talk about how good this dish was, absolutely superb. The cream sauce was perfect. Even though this dish is on the SkinnyLicious menu you can’t tell, it was that good. Flavor and seasoning was not sacrificed in the preparation of dish. Amazing! 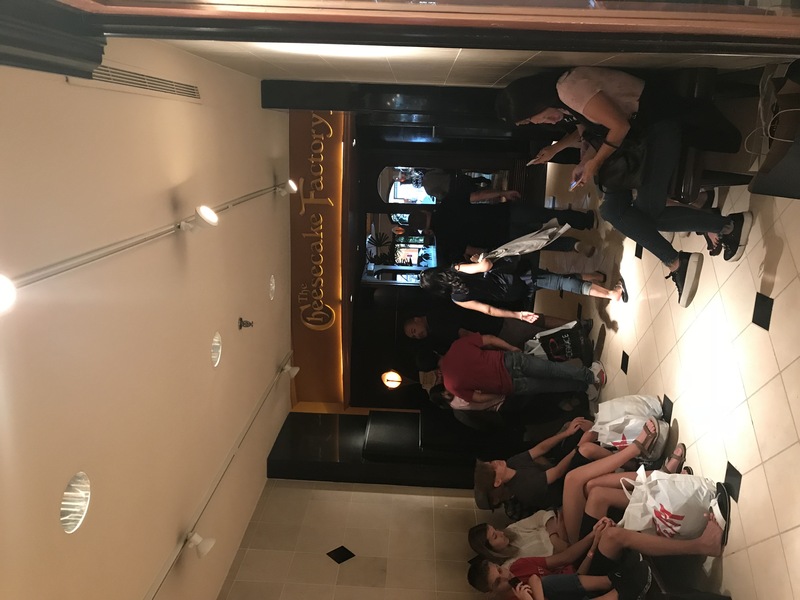 Overall, our time at The Cheesecake Factory was superb. The service was wonderful. Everything was served pipping hot. Each dish was presented well. We were supper impressed with everything. The Cheesecake Factory is known for their indulgent cheesecake but we passed on dessert! 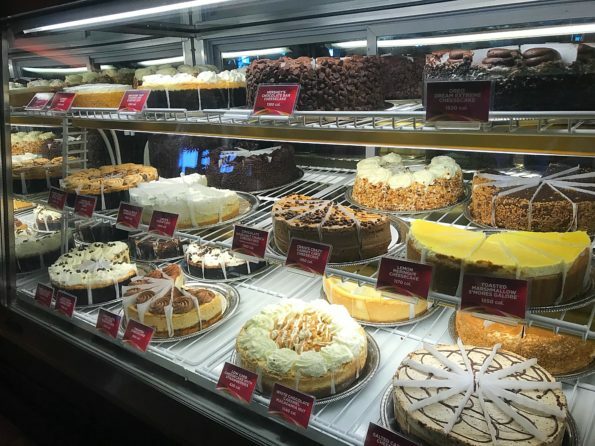 But the case was filled with delicious cheesecakes with over 15 different options to choose from. Houston, TX 77056. The hours of operation are Monday – Thursday 11:00 a.m. – 11:00 p.m., Friday 11:00 a.m. – 12:00 a.m. and Sunday 10:00 a.m. – 10:00 p.m.